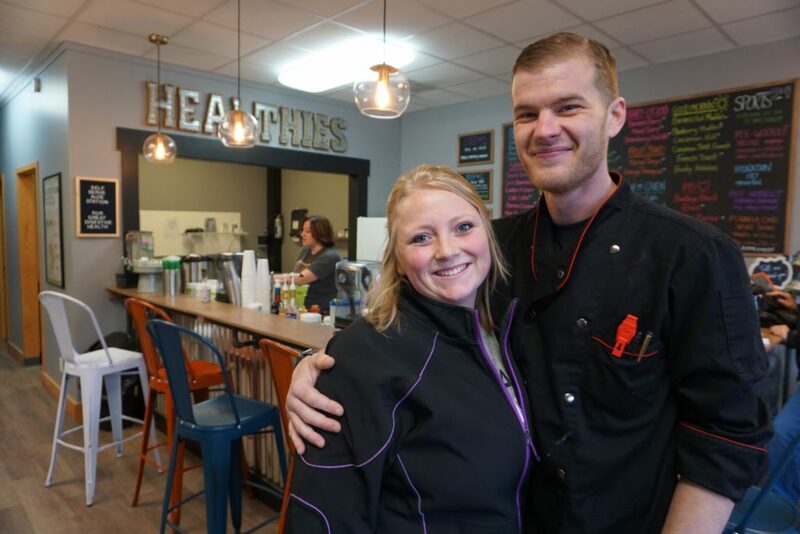 Looking for healthy dining options in Hillsdale just got easier with Healthies of Hillsdale, a juice and smoothie bar under new own­ership this month. The store opened at the former Nutrition Solu­tions location on Broad Street. Offering a wide variety of nutri­tious shakes, teas, and other drinks in dozens of dif­ferent flavors, Healthies of Hillsdale pro­vides a dif­ferent type of meal for Hillsdale’s diners. “It’s fast food for healthy people,” Healthies of Hillsdale co-owner Sierra Steward Cady said. Sierra Steward Cady is just one of the owners of Healthies of Hillsdale, and for her, it’s a family affair. Her parents, Dale and Lisa Steward, the owners of Nutrition Xtreme in Jonesville, co-own Healthies of Hillsdale with their two children, Sierra and Bryce, along with each of their spouses. 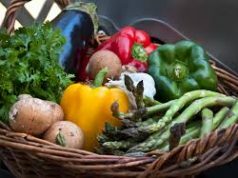 Healthies offers per­son­alized nutrition plans as well as meals for people in all walks of life. A typical meal includes three courses: an aloe shot, a tea, and a shake. The first course begins with an aloe shot, which aids with digestion. A second course might include a tea which boosts hydration, and finally, the main shake or smoothie pro­vides protein. With the wide variety of flavors, Healthies pro­vides breakfast, lunch, and dinner. Popular flavors include mixed berry, birthday cake, and banana nut. “The drinks have all those min­erals and vit­amins that everyone needs,” Sierra Steward Cady said. The com­munity has wel­comed Healthies with open arms. Co-owner Chase Cady, Sierra Steward Cady’s husband, said that many of their cus­tomers have thanked them for opening, saying that they are glad they have such a great option in Hillsdale. Sierra Steward Cady said that they hope to get involved in the com­munity and encourage healthy activity for all people, from kids to adults. “We want the com­munity to get healthy and active,” Sierra Steward Cady. Both Sierra Steward Cady and Chase Cady said that they hope to strive on cus­tomer service. Chase Cady is also an exec­utive chef at Olivia’s Chop­house in Jonesville, and he said he has started using the products that Healthies offers and he enjoys them. Healthies is hoping to also appeal to college ath­letes. With their sports drink line approved by the National San­i­tation Foun­dation, the products are both safe and legal. The line for ath­letes includes drinks for every step of their day, from the very beginning to the end. “And beyond just ath­letes, we have things for everyone from children to the elderly as well,” Chase Cady said. 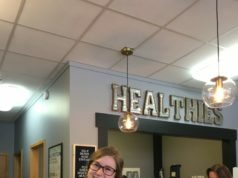 Senior Hannah Moeggenberg, a Hillsdale native, said that she loves Healthies of Hillsdale. 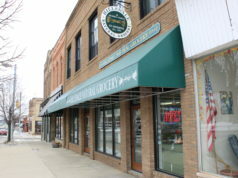 She said she believes that Healthies of Hillsdale is a great oppor­tunity for the whole com­munity. “It’s a fun way to get kids to eat protein, it’s ben­e­ficial to college ath­letes, and for anyone who wants to start reaching their 2019 fitness goals as it’s as deli­cious as it is for our bodies,” Moeggenberg said. Healthies of Hillsdale will host a grand opening on Feb. 1 – 3. The shop is open Monday through Friday 7 a.m.- 7 p.m. and on Sat­urday and Sunday from 9 a.m.-1 p.m.